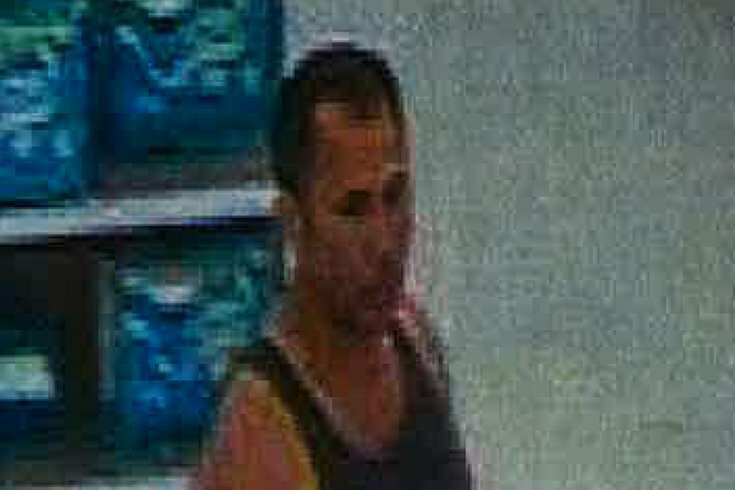 A photo of Geovanni Varona in the Walmart where he allegedly recorded a video up a woman's skirt. A man has been arrested after allegedly recording a video up a woman's skirt Monday in a New Jersey Walmart. Police responded to a report of a man possibly performing lewd acts at the Walmart on 2106 Mount Holly Road in Burlington County around 3:30 p.m.
Employees told officers that the man was using a cell phone to take pictures and videos up a woman's dress. The man was identified as 44-year-old Geovanni Varona of Florida. According to police, a video from underneath the woman's dress taken without her knowledge was on the phone. Police informed the woman of the video. Varona has been charged with invasion of privacy and is being held in lieu of $35,000 bail. It is believed that Varona may have performed similar acts in other stores and states and, in an attempt to find other possible victims, law enforcement officials are asking anyone with information to contact the Burlington Township Police Department at 609-386-2019 or Detective Bird at 609-239-5888.